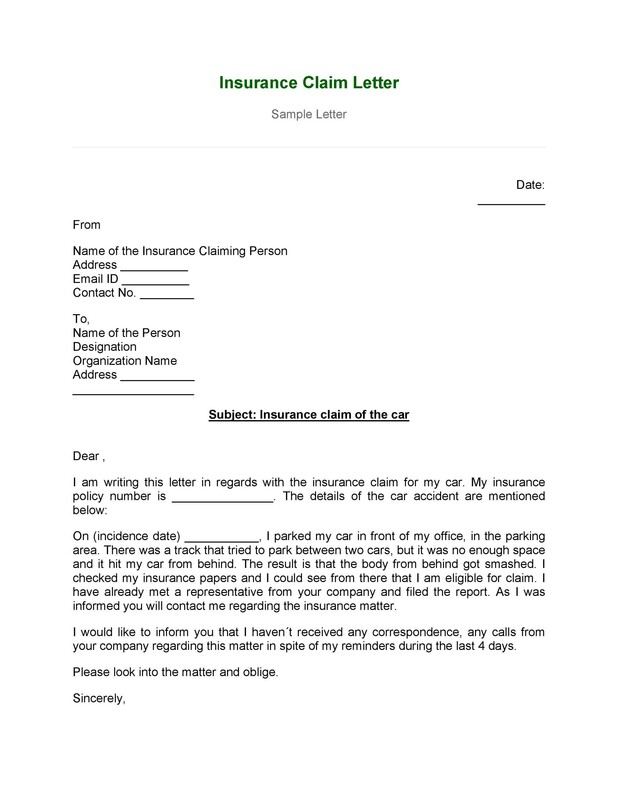 49 Free Claim Letter Examples - How to Write a Claim Letter? 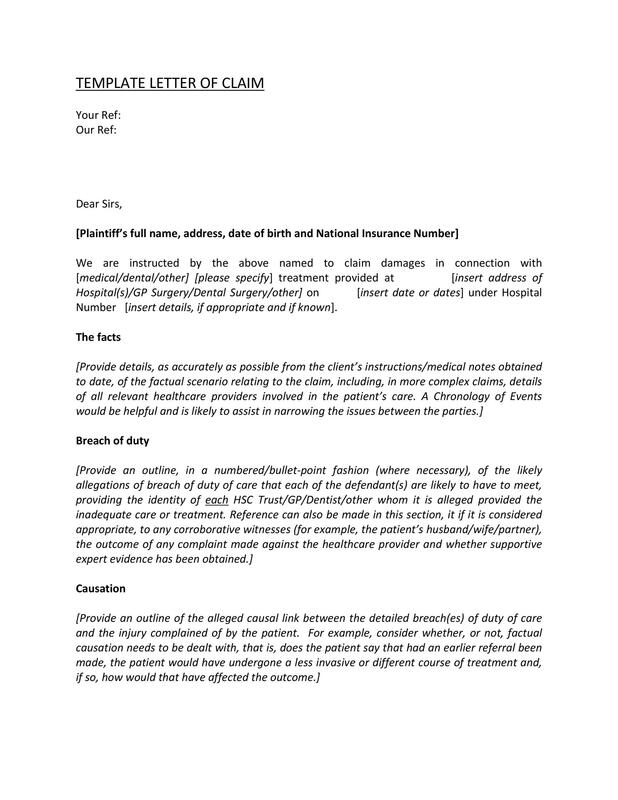 49 Free Claim Letter Examples – How to Write a Claim Letter? We often face situations where we would demand compensation for any wrongdoing or dissatisfaction with the services or the product. 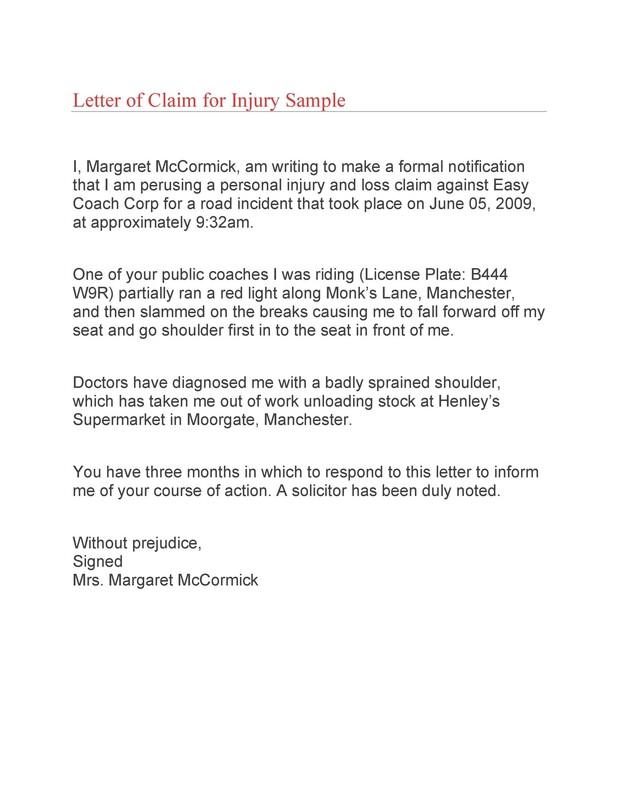 Writing a claim letter example would be the first step to take and is part of a legal process. 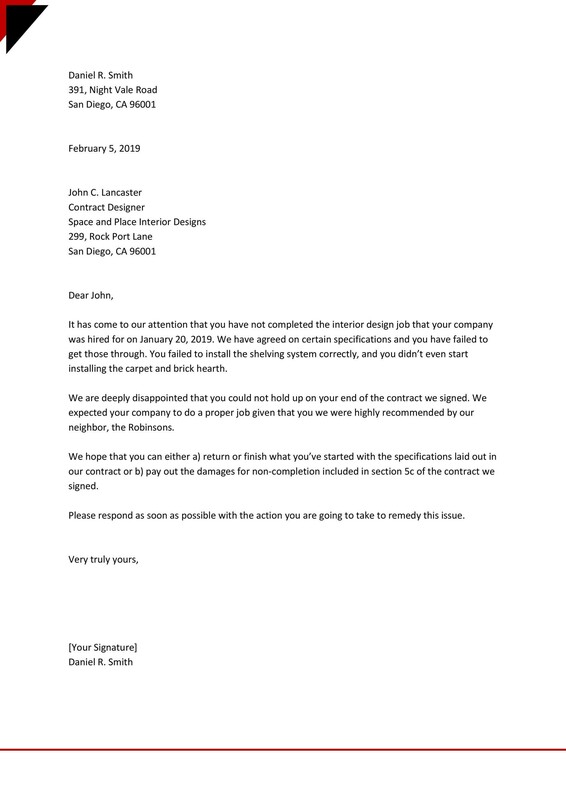 The letter serves as a written notice to someone to let them know your intent to seek damages for either personal injuries or incomplete or unsatisfactory work on a specific project. 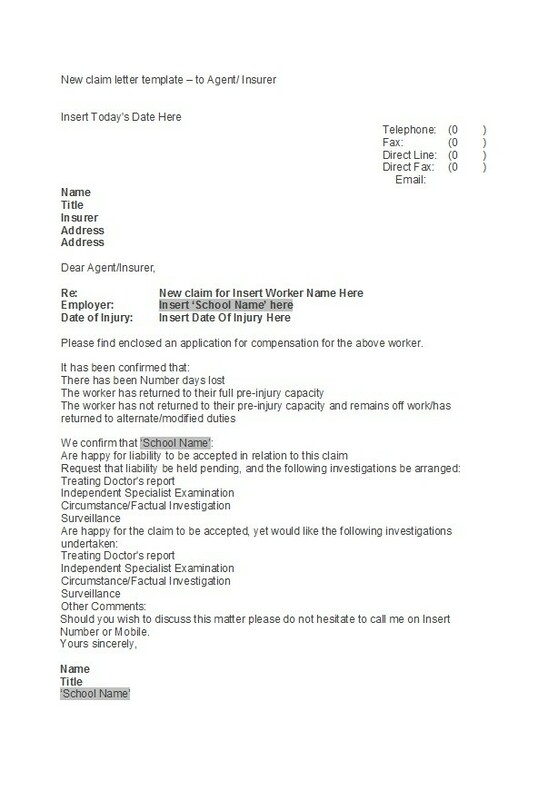 4 How to write a claim letter? 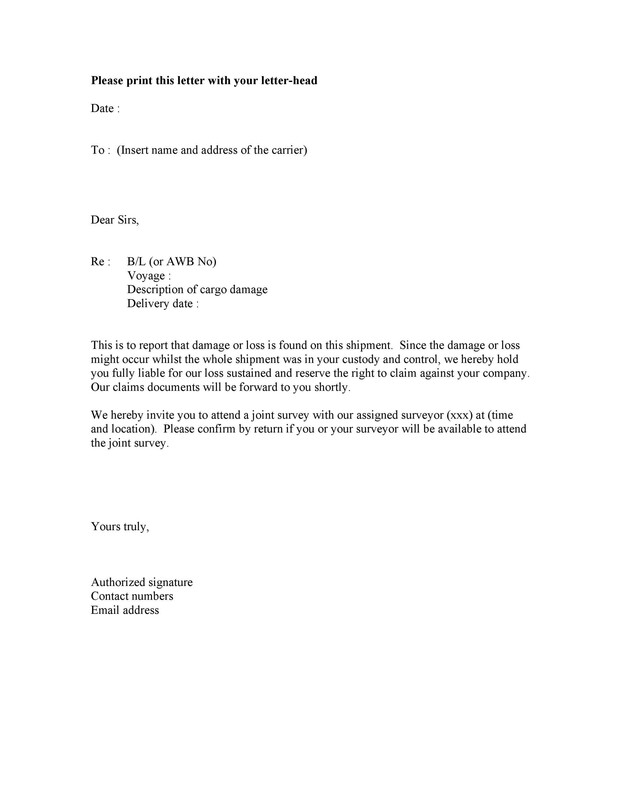 Describe the product’s defect or the substandard service you experienced. Be sure the information you will provide is clear, direct and as much as possible be very detailed in your explanation. Such information will prove its worth for the purposes of re-checking. 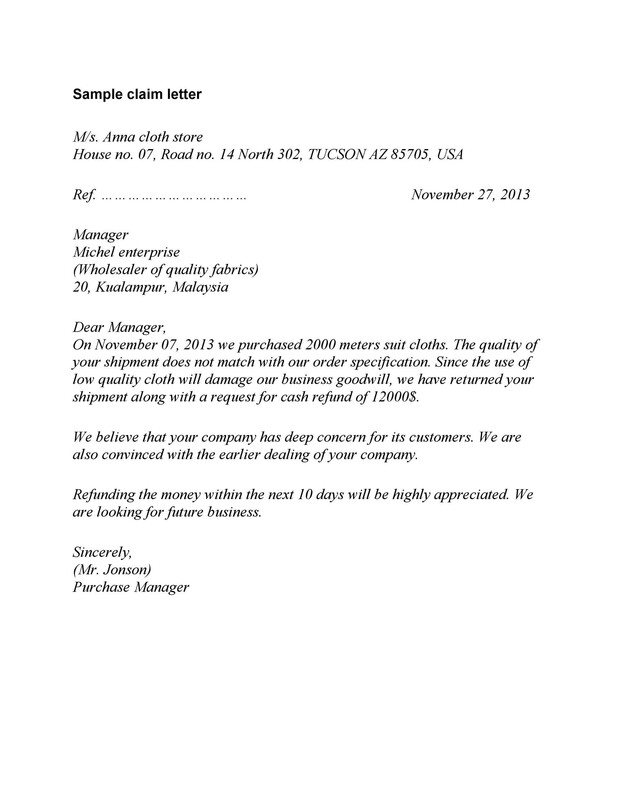 Having this data will facilitate the checking of the actual product by the supplier. 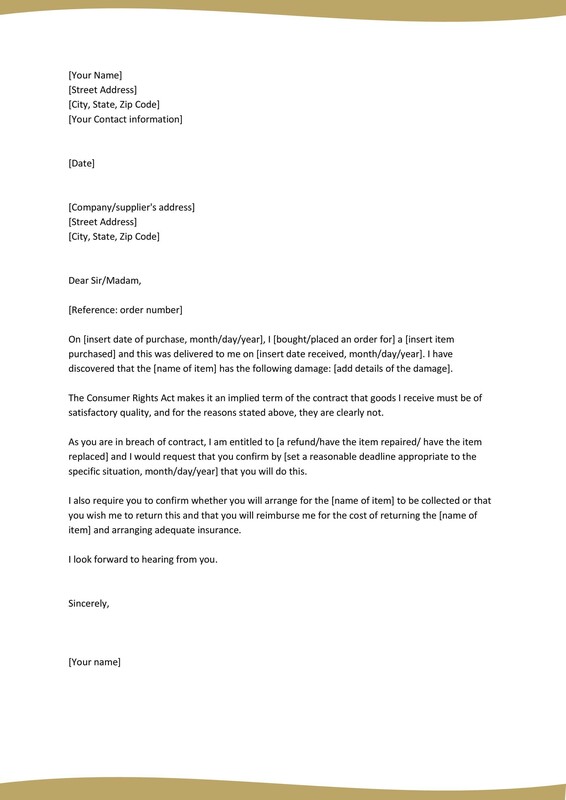 You should direct the claim letter example to the manufacturing company so it could appeal to their sense of fairness, pride, honesty, and reputation. Taking immediate action to remedy the situation will work in their favor. 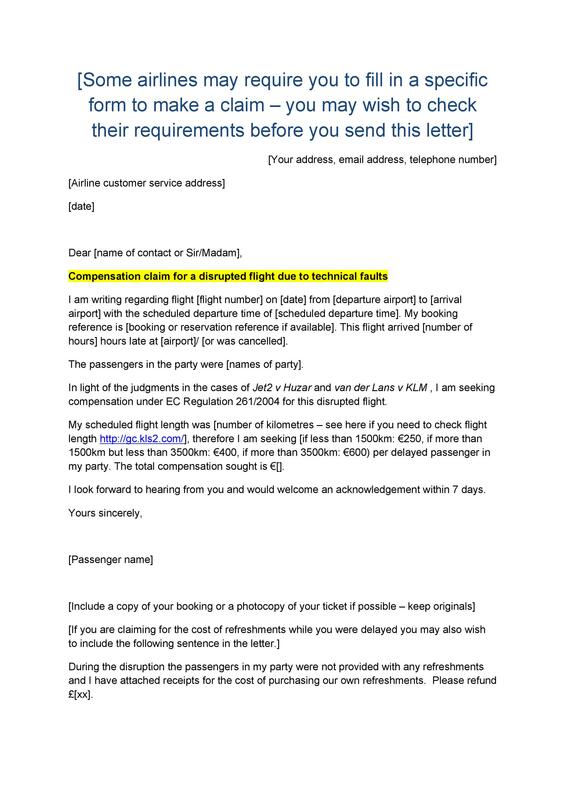 The letter should directly state a request for the remedy or adjustment which you think is fair enough to fix the problem. 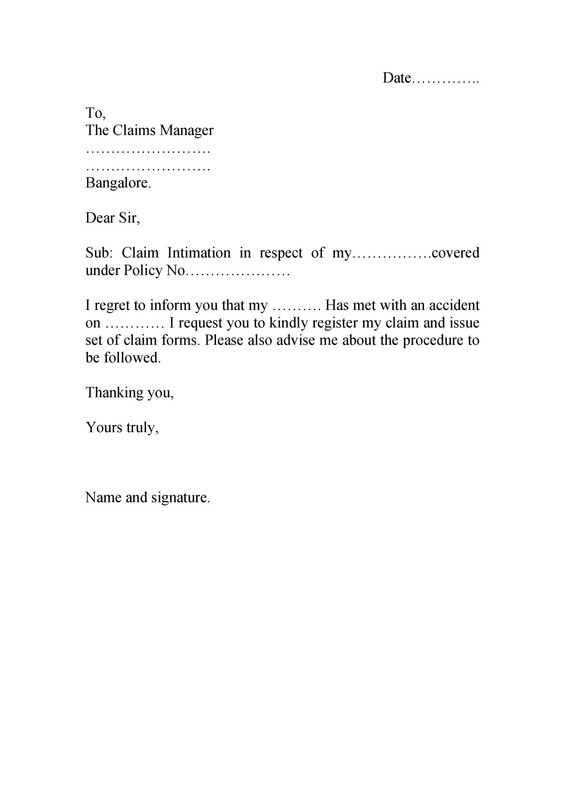 How to write a claim letter? 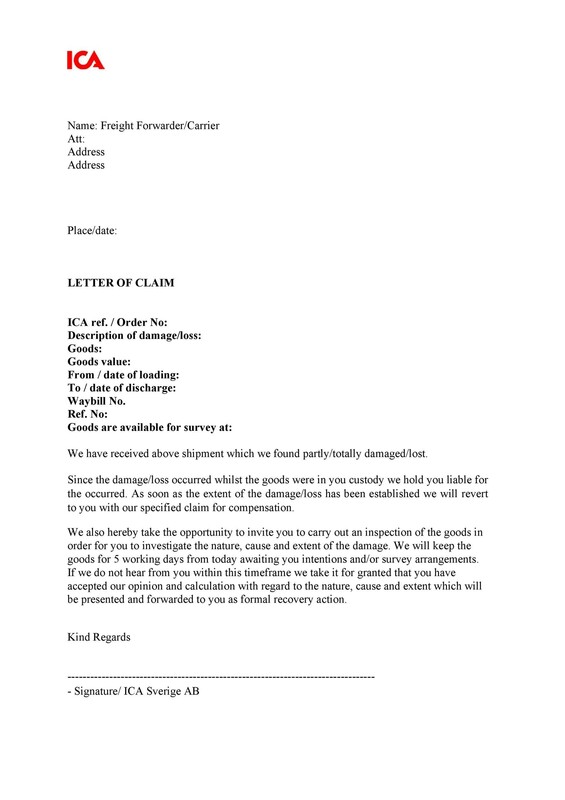 Claim letters usually target a company’s products or services deemed unsatisfactory, and there is a need for adjustments. For instance, a company has outsourced the production of a part required for a final product. 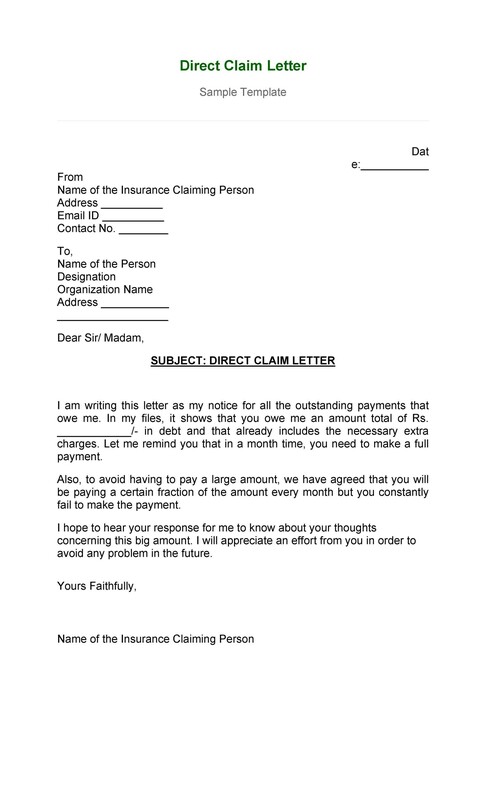 Indicate at the start of the letter that you’re making a claim then specify the type of claim you’re making. If applicable indicate the policy number. 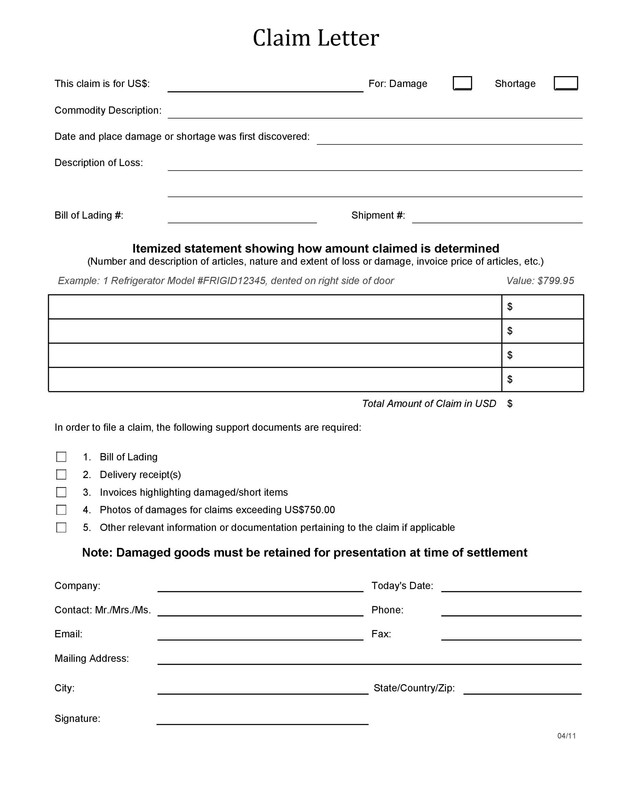 Explain the specific details or circumstances of your claim. Make sure to mention all the significant facts about the claim. 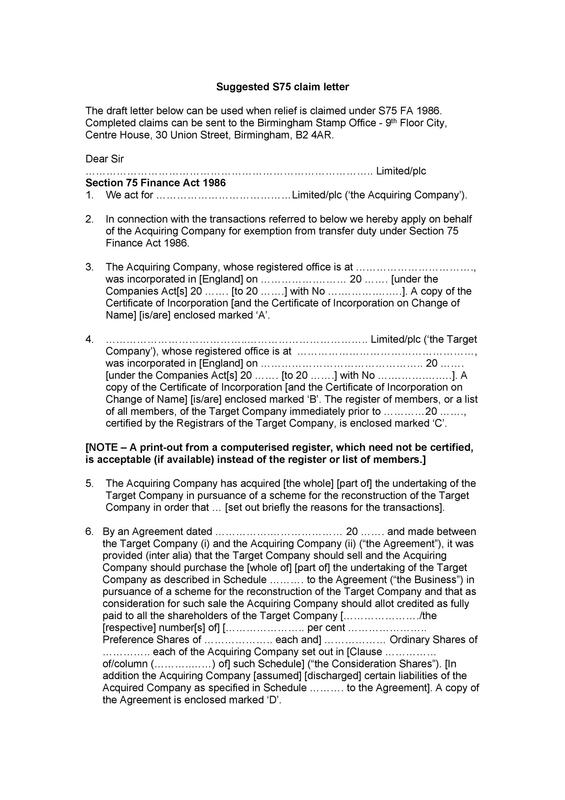 State the amount you intend to claim or the action the reader should take along with the date they must carry out such actions. 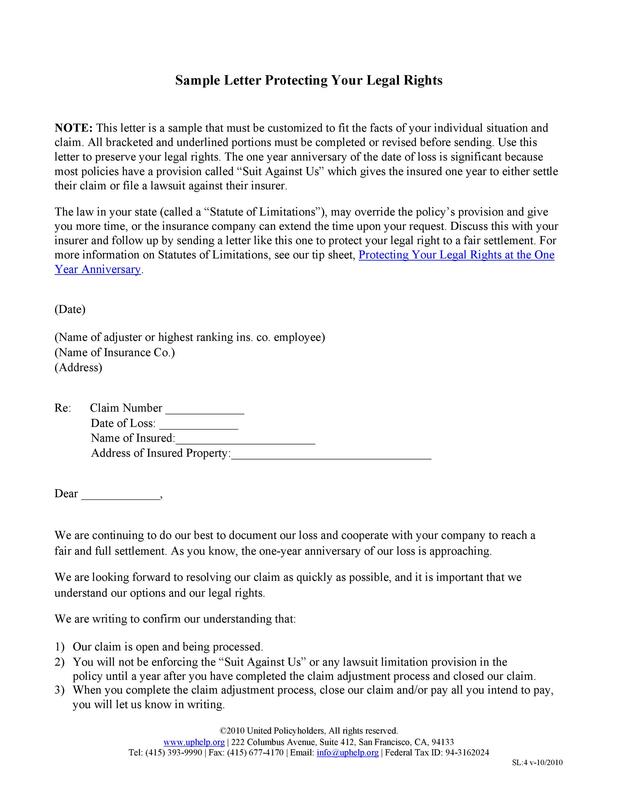 Attach any documents relevant to your claim. These could include your claim letter, claims forms, warranty, repair estimates, records, and receipts. 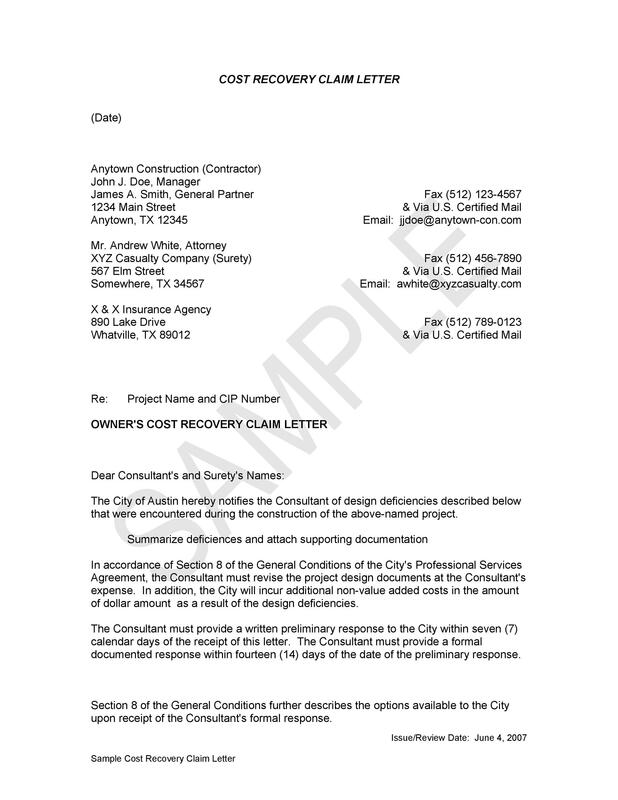 You may use some relevant documents to support your claim. 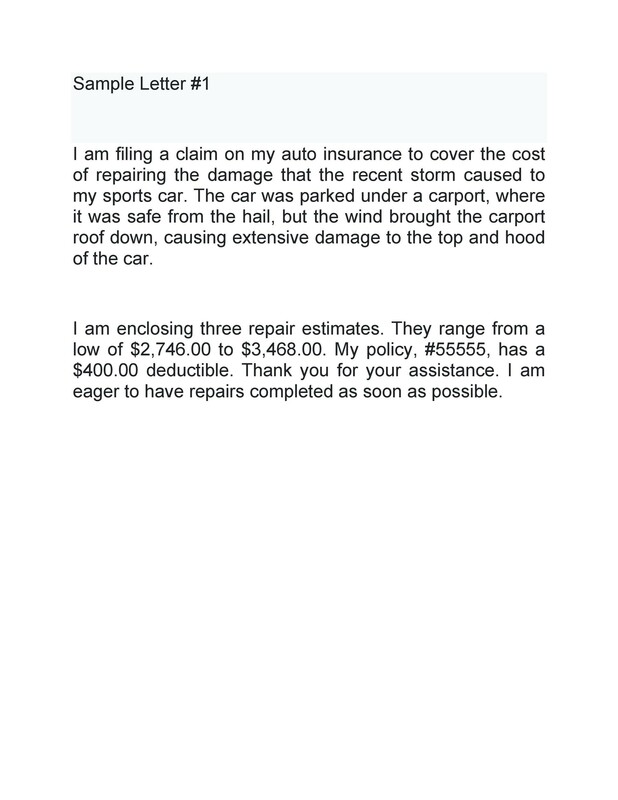 As such, make sure to mention the contents of the documents specifically and illustrate why they can back up your claim. 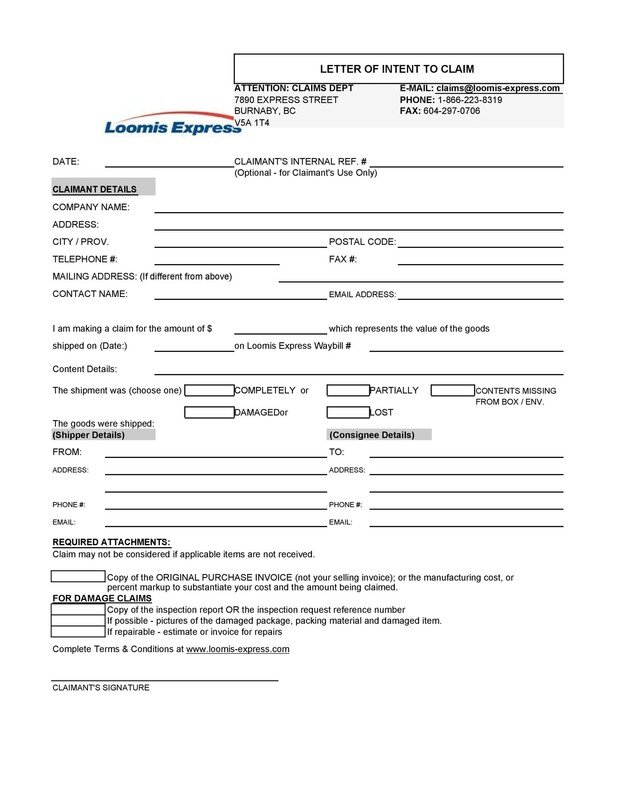 Determine a date when you want to receive an answer then include your contact information. This will permit the reader to get in touch with you easily. 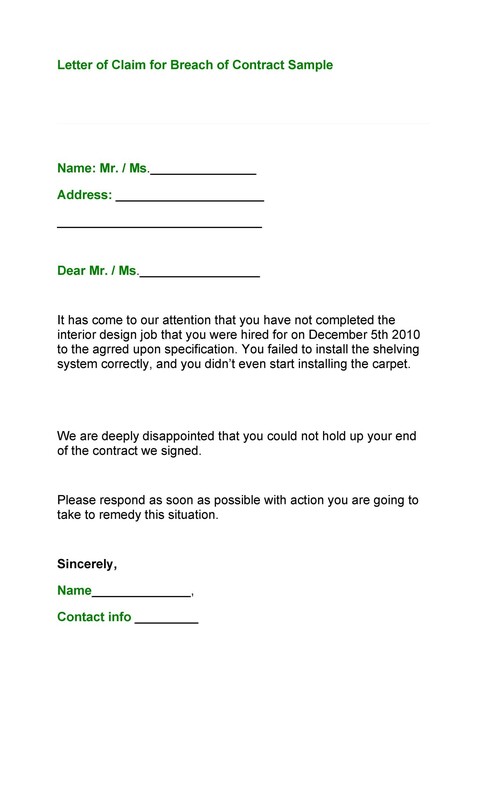 At the end of the letter, make sure to politely thank the recipient for her/his assistance. 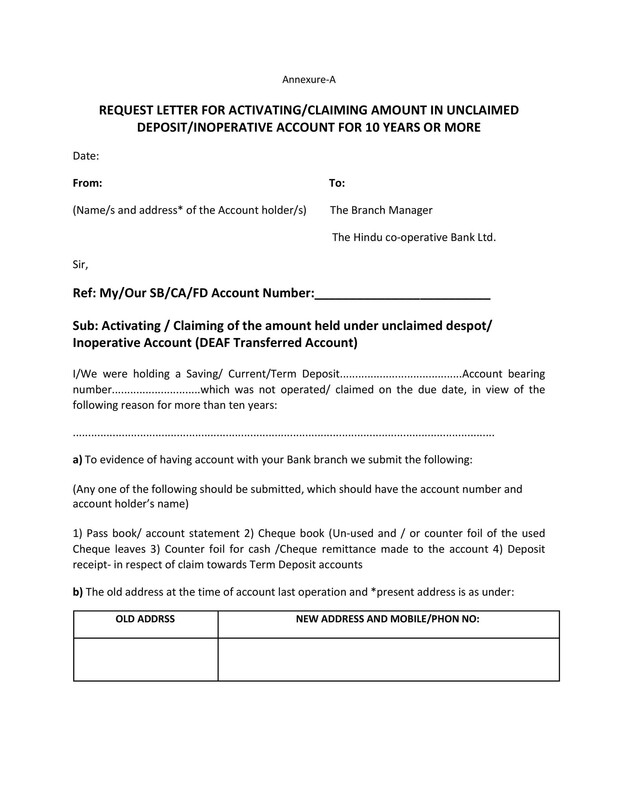 You may refer some letters to client contacts, existing or prospective customers to inform them of some schemes or offers that will help them make great savings. The goal of such exciting offers, of course, is to make more money. 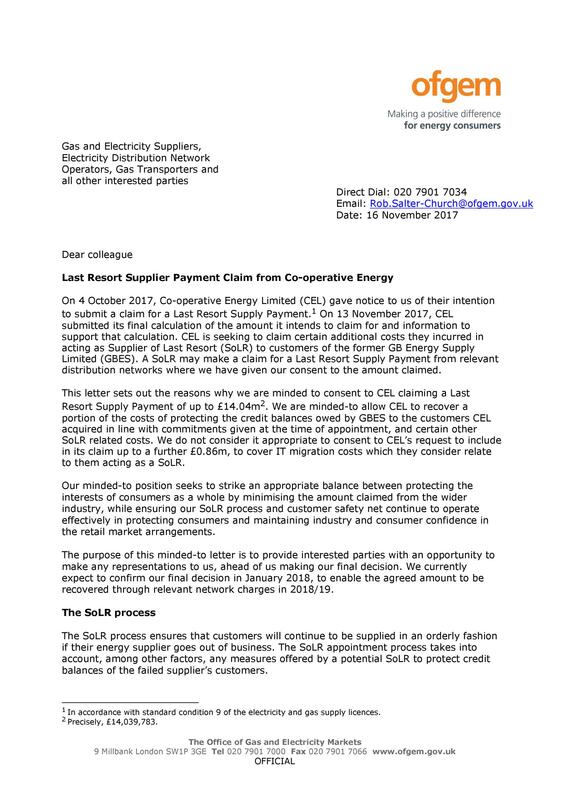 Writing such letters gives an opportunity for customers to make great profits at the same time inform them of the company’s changes in supplies, rates, new offers, and more. 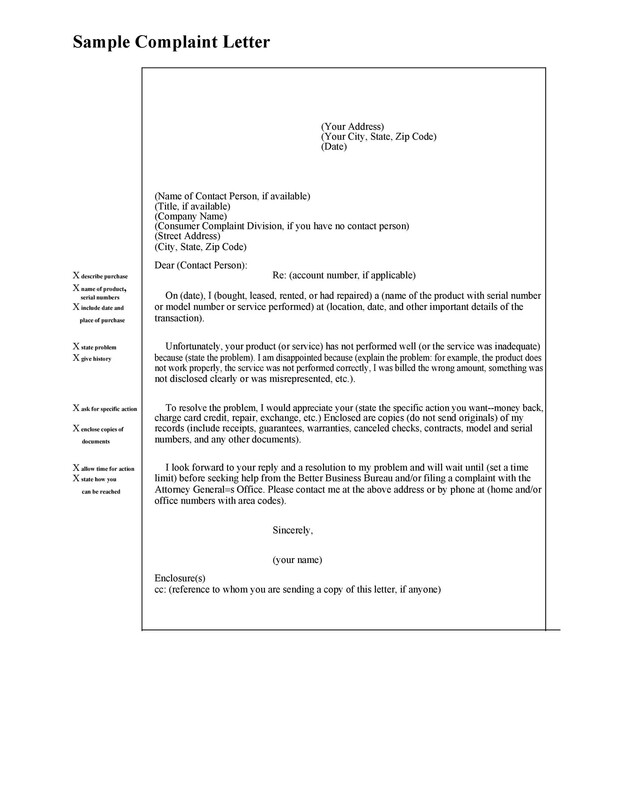 You can also use the letter to introduce a new product to its new or existing customers. Providing them the updates can further improve and maintain a good relationship in business. But keep in mind that whether you have a service or product that’s considered “top of the line,” you will eventually, receive complaints. 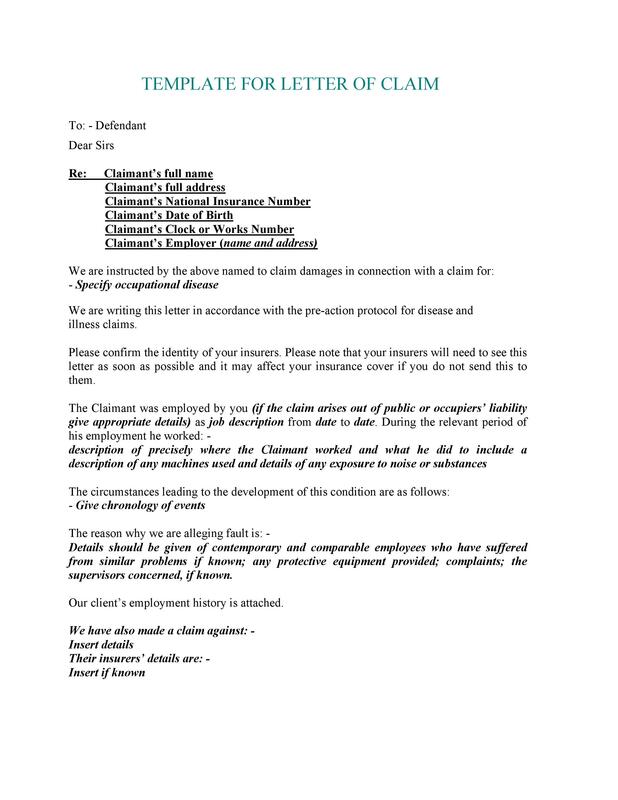 But think positively because client complaints and claim letters examples can be huge assets for the company. Briefly write about the schemes or offers you have and discuss the benefits that the customer can gain if they should avail of the offer. 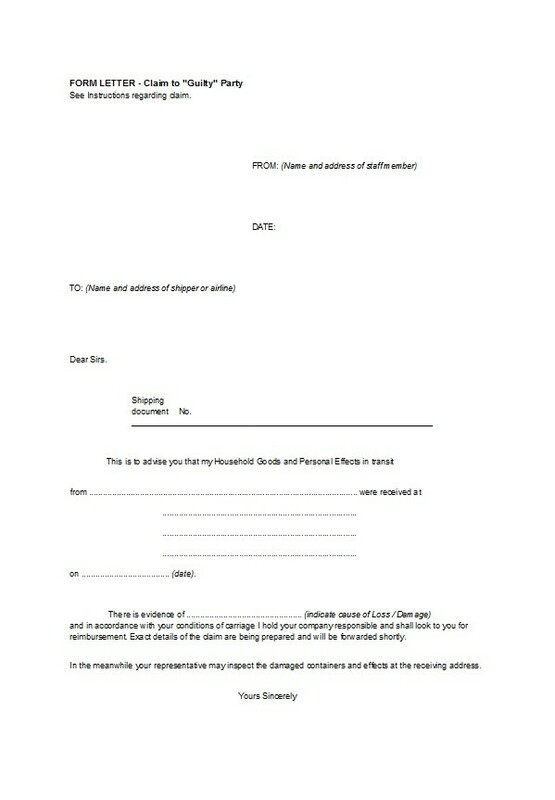 Write down the period in which your offer remains valid. 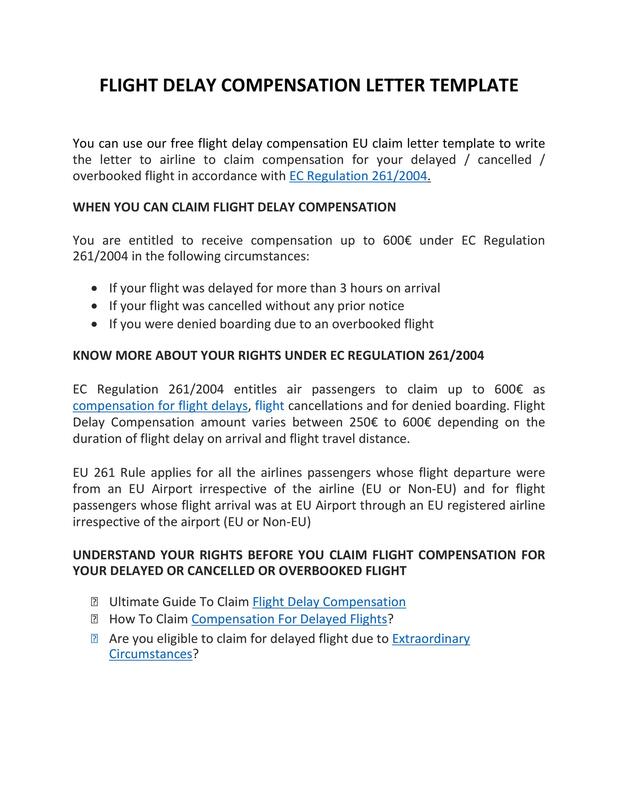 This would help your customers make up their minds and decide to avail of the offer sooner than later. Using a positive tone will get you a positive response. Use appealing language that will grab the customer’s attention towards the discounts and offers. Tell your reader you consider him/her a valued customer which is why you’re writing the letter. Indicate the full name of the customer or company you’re referring to. 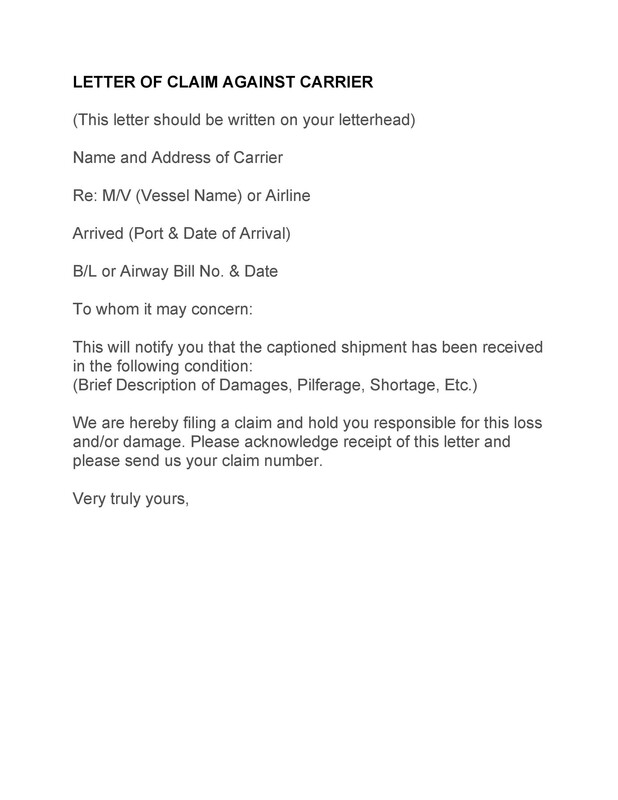 Be concise but clear when imparting the information in your letter. Make proposals on how you can improve customer service in the future. 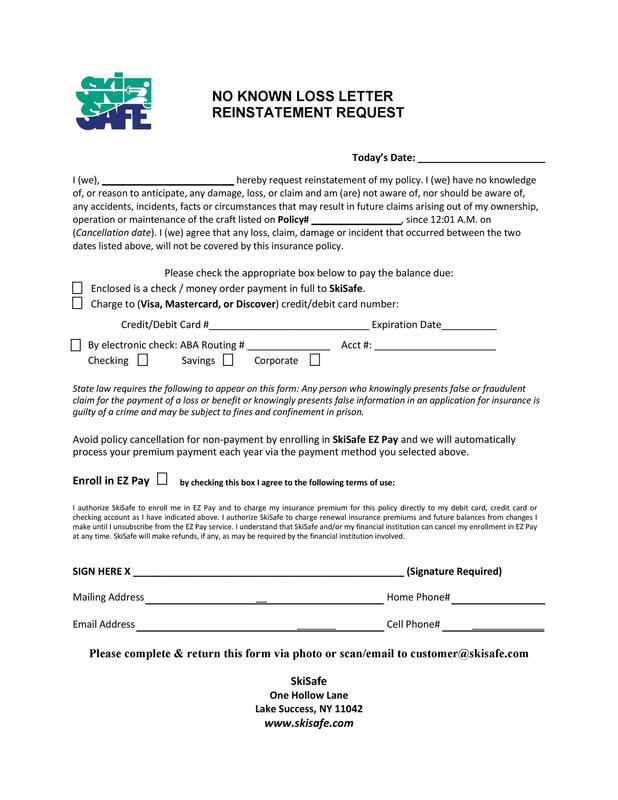 If there are any important forms to be sent or filled out, include these in your letter for a quicker chance of approval. Always maintain a respectful and courteous tone, At times, you may feel they have wronged you, but this is no reason to use a rude or disrespectful tone. Always remain professional but also assertive. 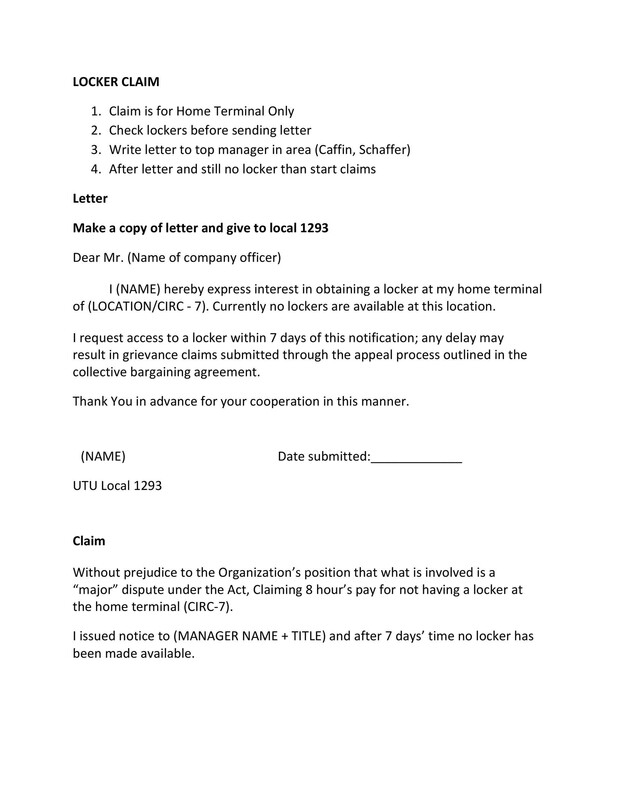 Send the claim letter within the set time limit to make your claim valid. 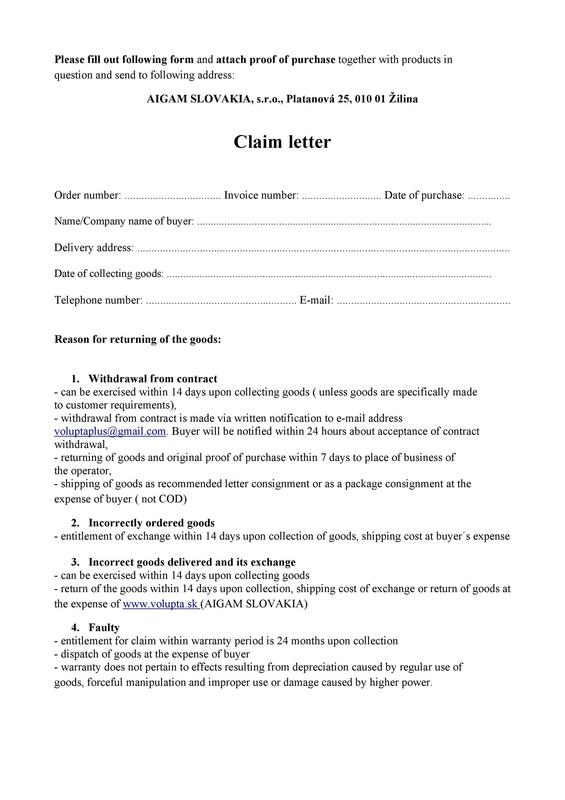 Be sure to clearly define what you expect to accomplish in sending your claim letter. 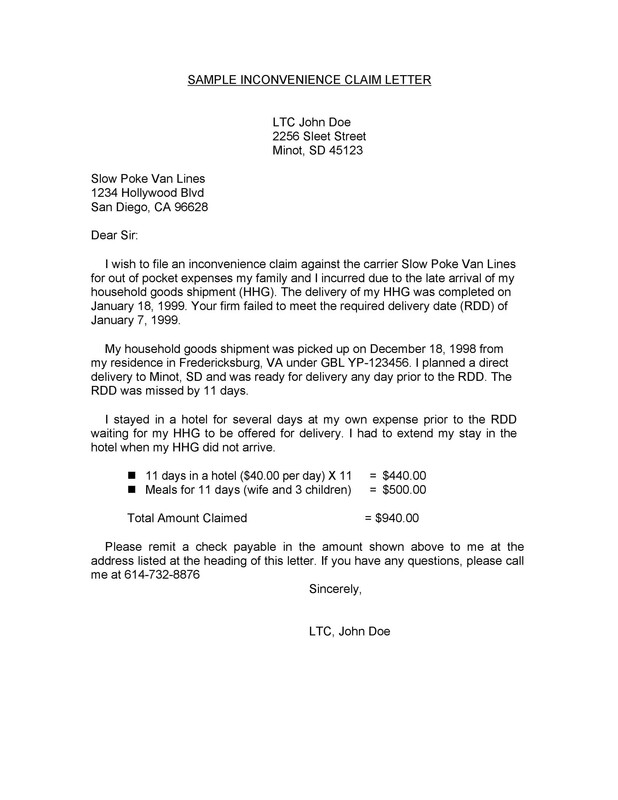 The statements in your letter should be completely tactful and accurate. 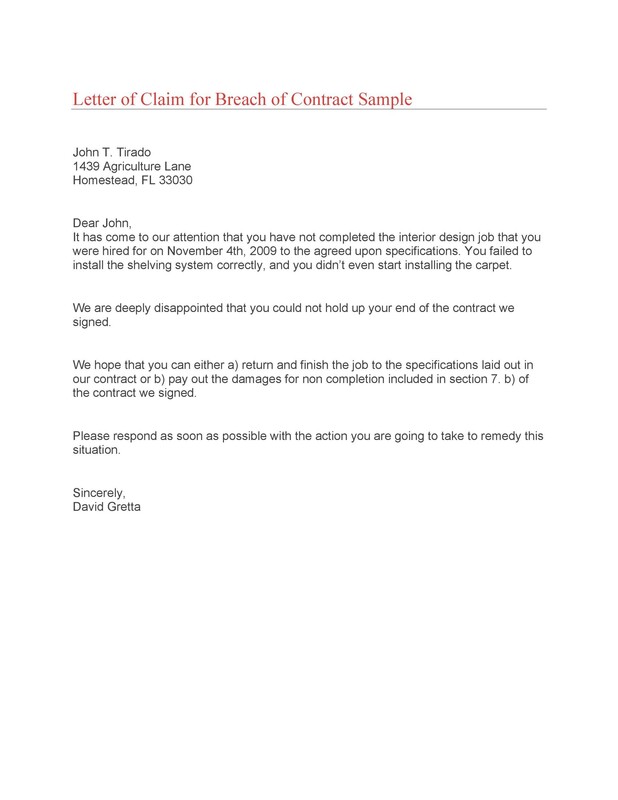 This will more likely convince the company to approve your claim. 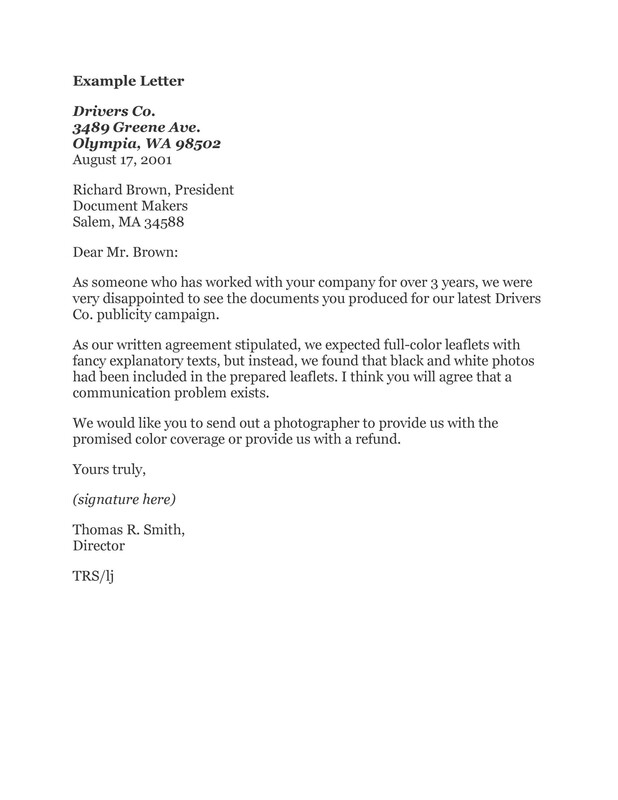 Using threats, accusations, and other hints of intimidation would diminish your chances of your request getting accepted or entertained by the company. Enumerate the exact steps you need to take and how long you can wait for their reply. 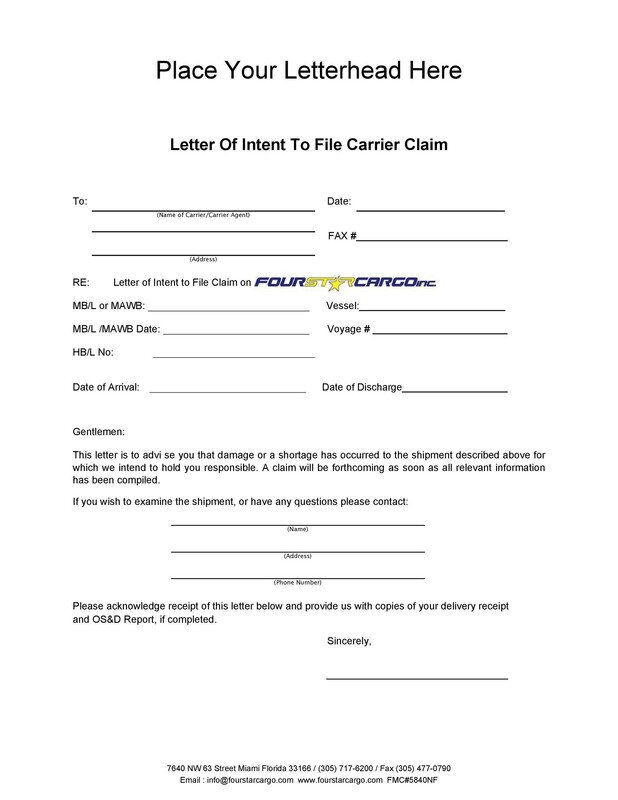 Attach to your letter the relevant documents that can substantiate your claim. 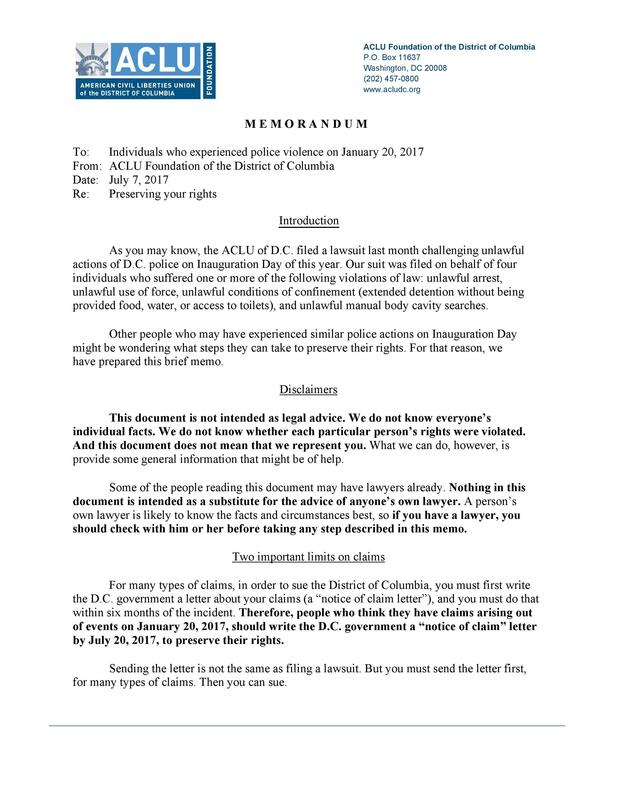 You may also print out copies of notes and e-mails of conversations you had with the agency staff or seller that are relevant to the issue. 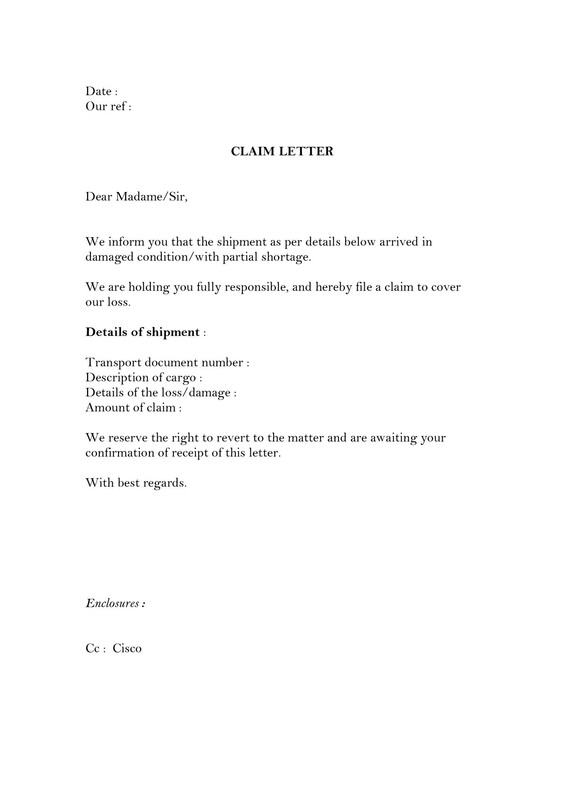 Claim letter formats are usually written by disgruntled buyers, complaining, and demanding compensations from the sellers. 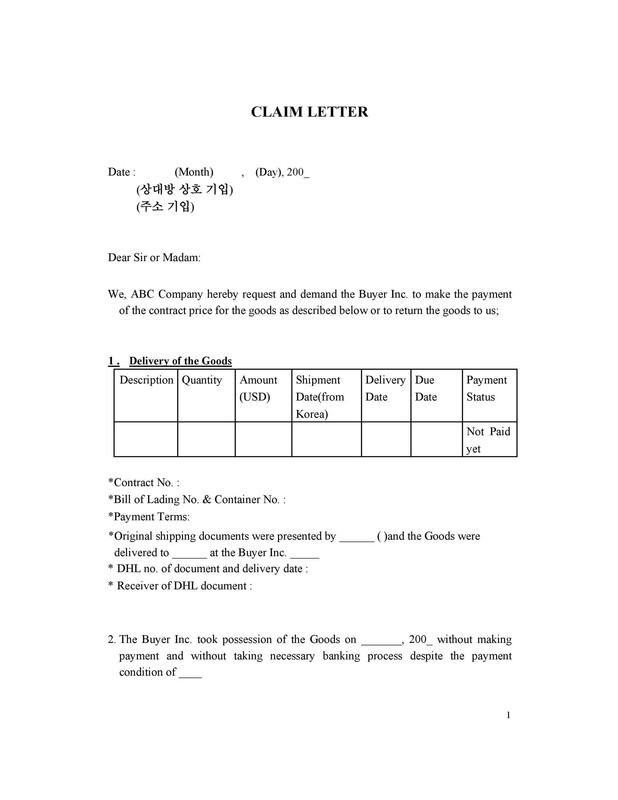 Generally speaking, a buyer writes the claim letter to a seller. 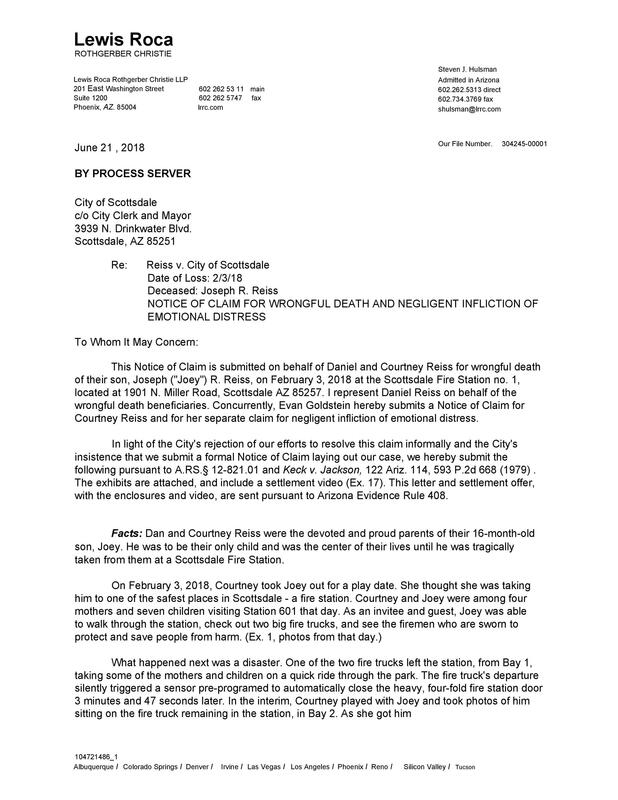 However, there are instances when the buyer composes a complaint letter to an agency, for instance, the transportation authority, seeking compensation because of damages caused by negligence. 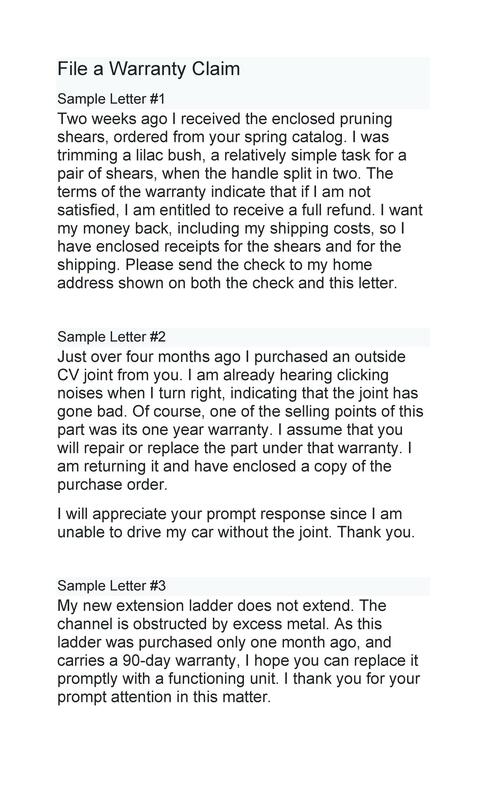 The seller may also send a claim letter to the buyer making their own demands. 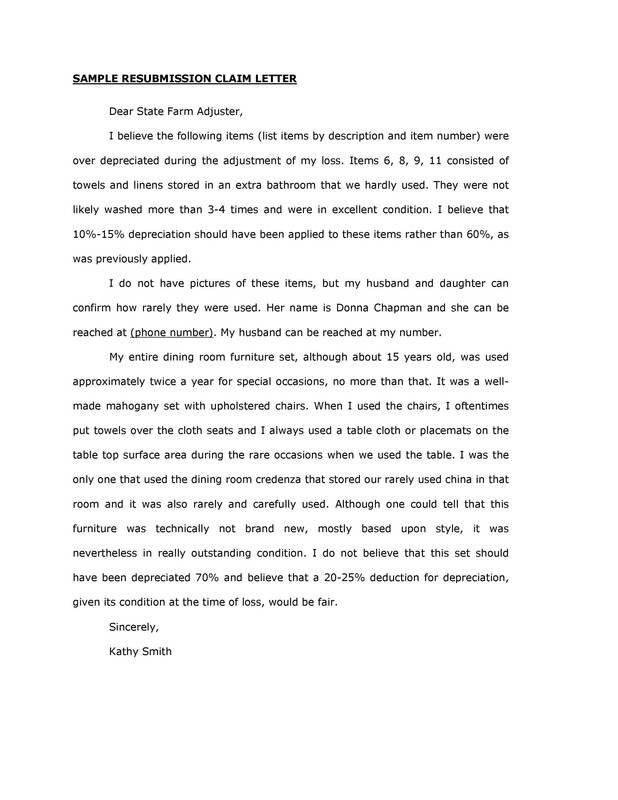 Dissatisfied buyers write claim letters to sellers, seeking compensation. 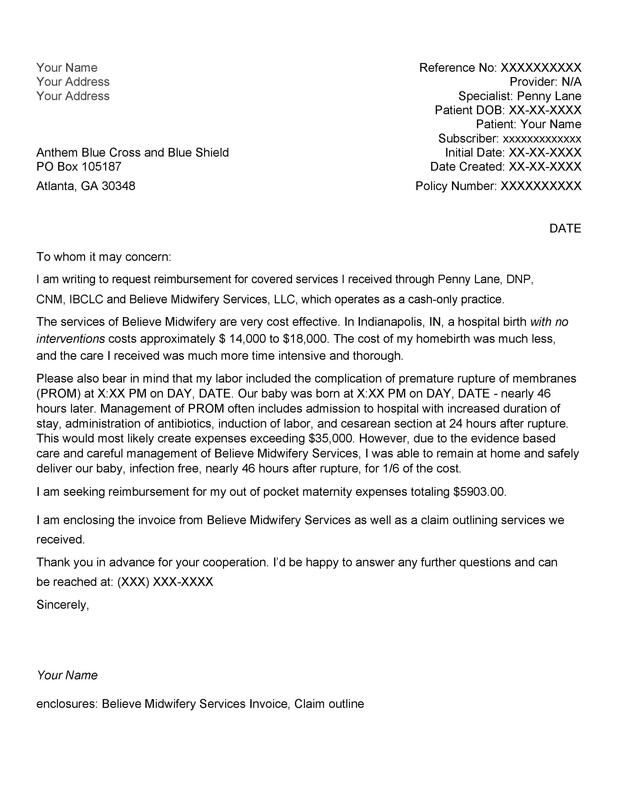 Calling the agency or the seller may be the easiest way to settle the claim, but a claim letter is much better because it’s written documentation of the customer’s dissatisfaction. 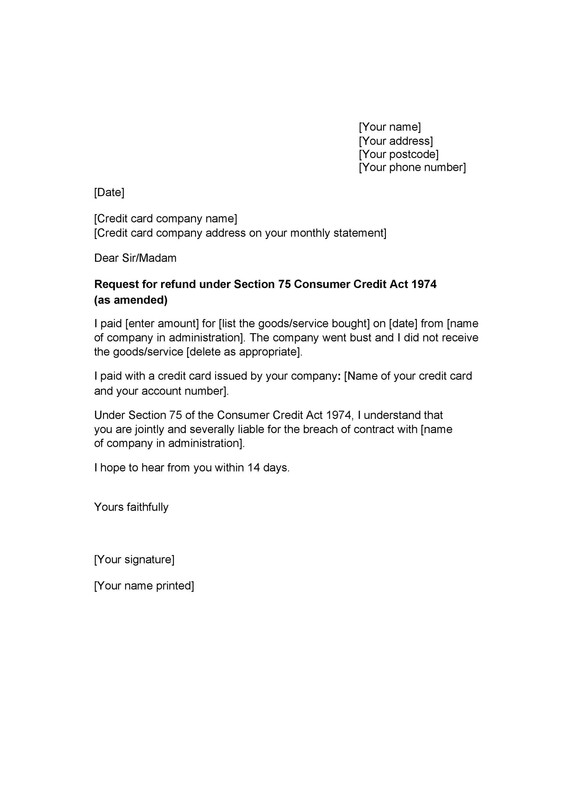 Full or loss refund of the service or product’s purchase price. Delivery of your products again but this time with the right items. Reducing the price of the product. Crediting the full amount to your purchase account. Canceling the order or part of the order. Correction of any mistakes in the bill. 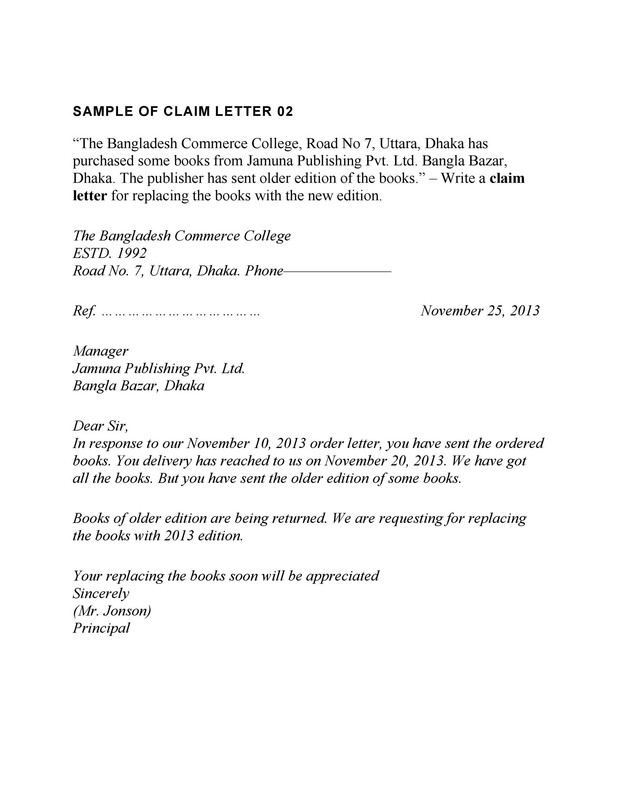 A claim letter example is a letter of persuasion where a customer writes an agency or a business about some problem with their product or service. 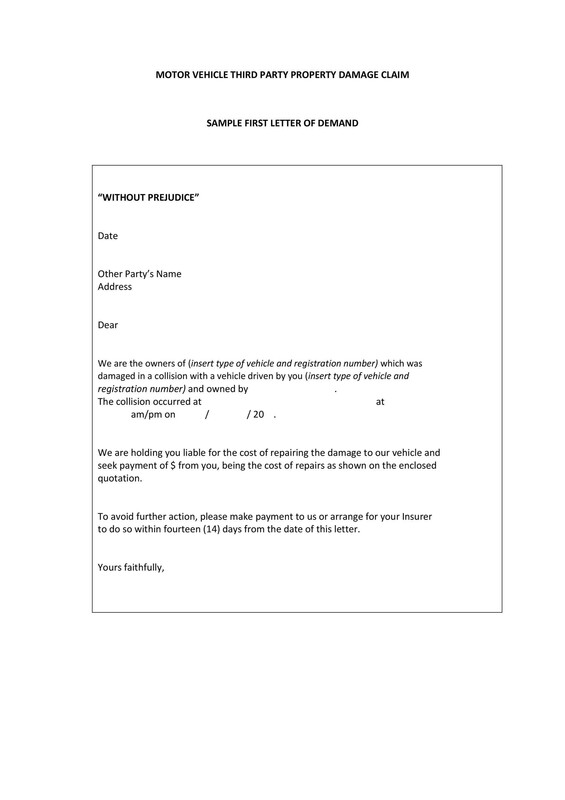 Simply worded, it’s a letter of complaint which demands a request for an adjustment in the form of a refund or a replacement or payment for damages. 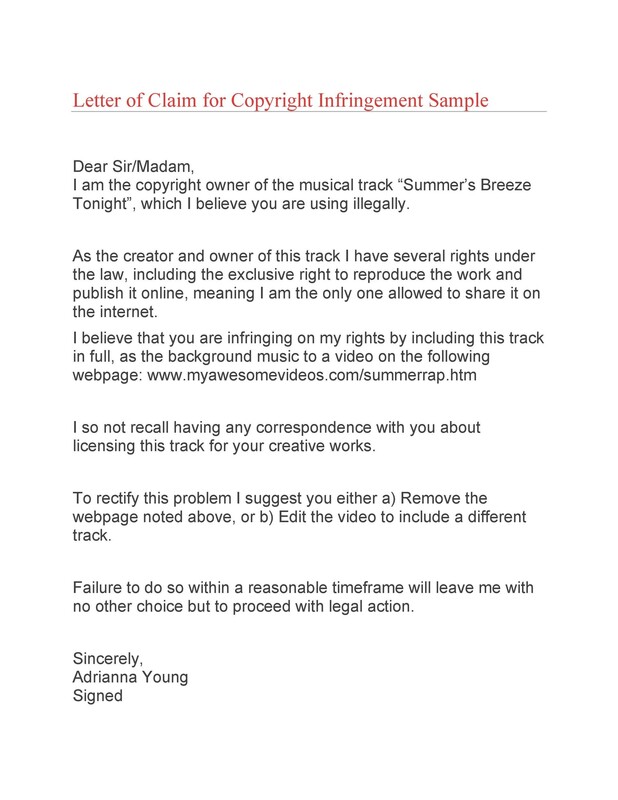 Open the letter by giving a statement about your regret that you have to deny the claim. State the reasons for denying or rejecting the claim. 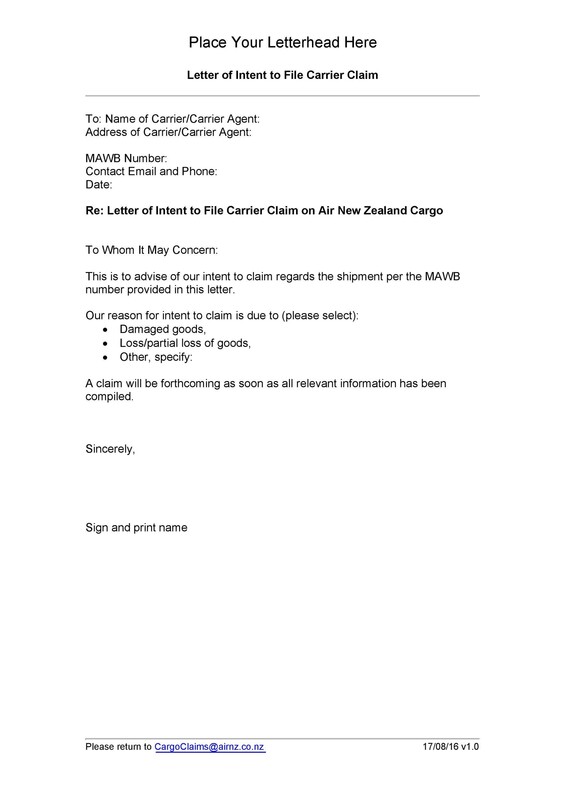 Attach any documents as evidence to substantiate the denial. 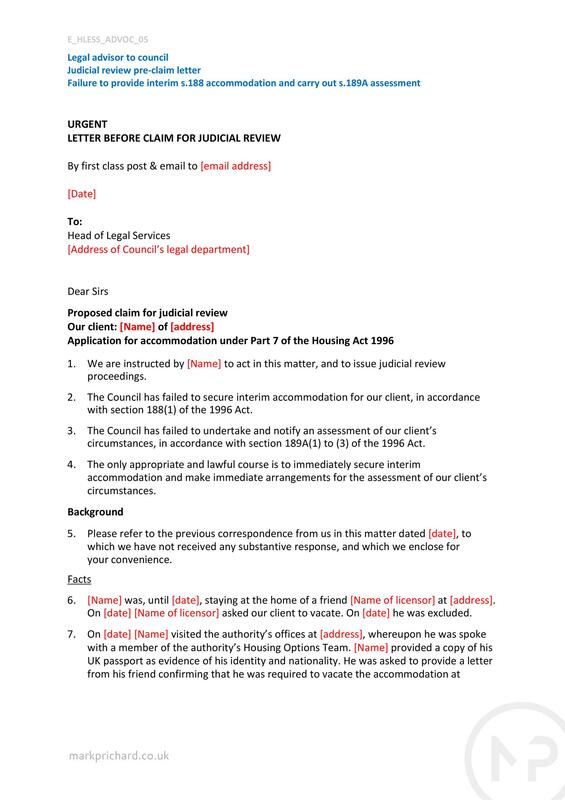 Include any information that the claimant can use so that the claim can get approved if the latter so desires. 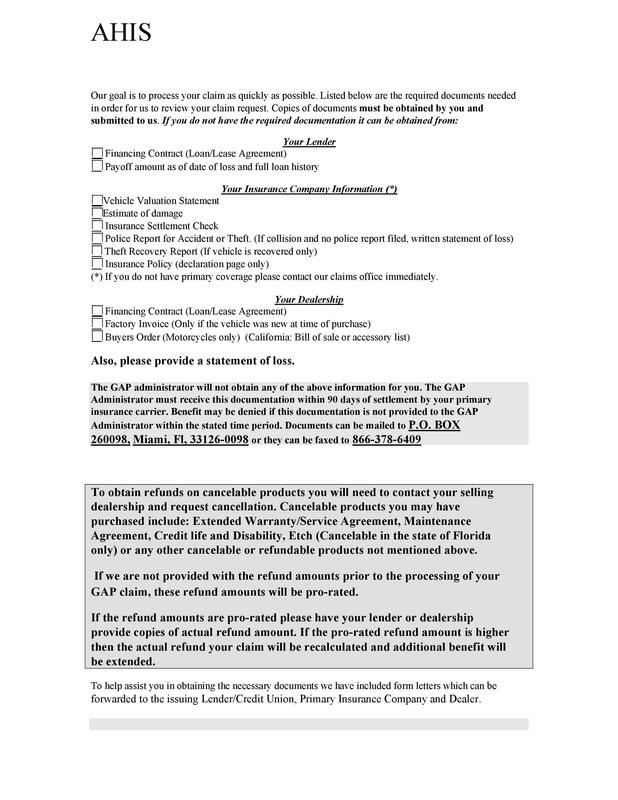 Include relevant dates, like the date when the client can make a resubmission or appeal if applicable. Add the contact details of the person who the customer should address the appeal. Reiterate your regret for having to deny the claim and express a willingness to discuss the issue further or find solutions to the problem. 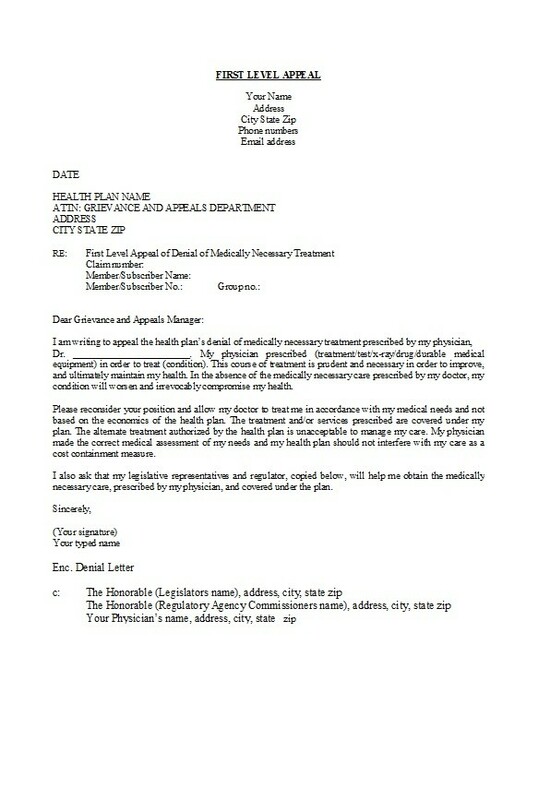 Close the letter by stating how important the reader’s business is to you or that you value the customer.